Smartmatic Group, an electronic voting firm whose worldwide headquarters is located in the United Kingdom, will be running the online balloting process in the Utah Republican Open Caucuses on Tuesday. The chairman of Smartmatic’s board, Lord Mark Malloch-Brown, currently serves on the board of George Soros’s Open Society Foundation and has close ties to the billionaire. “We expect all the jurisdictions across the U.S. to take notice and to look at this experience as something to study and, hopefully, follow,” said Antonio Mugica, founder and chief executive of Smartmatic Group, an election-equipment vendor that is running the Utah election. Mugica addressed security concerns about online voting, telling the Journal that Smartmatic has security protocols and backups of the election data should a recount be needed. He said he wasn’t aware of any security breaches. The Journal did not cite the biography of Malloch-Brown, chairman of Smartmatic’s board. 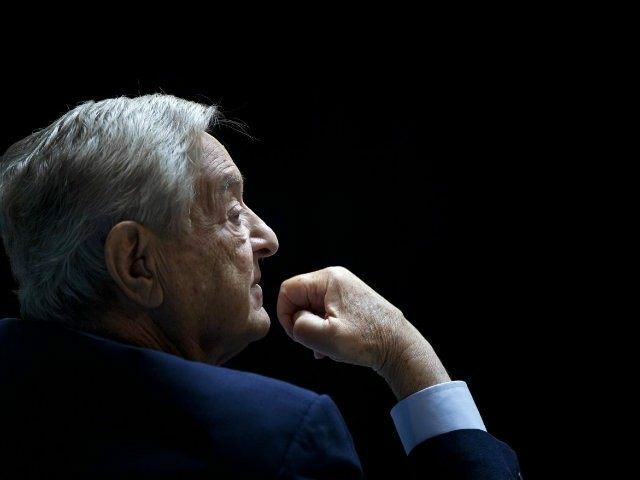 That biography is posted openly on Smartmatic’s website, and shows close associations between Malloch-Brown and Soros, a major donor to the Democratic Party and hundreds of liberal and radical-left groups. Mark Malloch-Brown is a former number two in the United Nations as well as having served in the British Cabinet and Foreign Office. He now sits in the House of Lords and is active both in business and in the non-profit world. He also remains deeply involved in international affairs. Mark served as Deputy Secretary-General and Chief of Staff of the UN under Kofi Annan. For six years before that he was Administrator of the UNDP, leading the UN’s development efforts around the world. He was later Minister of State in the Foreign Office, covering Africa and Asia, and was a member of Gordon Brown’s cabinet. Other positions have included vice-chairman of George Soros’s Investment Funds, as well as his Open Society Institute, a Vice-President at the World Bank and the lead international partner at Sawyer Miller, a political consulting firm. He also has served as Vice-Chairman of the World Economic Forum. He began his career as a journalist at The Economist. Besides formerly serving as vice-chairman of Soros’s Investment Funds and the billionaire’s Open Society Institute, Malloch-Brown is currently a global board member of Soros’s Open Society Foundation. As further documented in his Smartmatic Group bio, Malloch-Brown also serves on the small board of the International Crisis Group, a Soros-financed international crisis management organization. Soros himself sits on the ICG’s small board. Besides their worldwide headquarters in London, Smartmatic lists offices in 13 other countries. Their U.S. offices are located in Boca Raton, Florida. Tuesday’s Utah GOP Caucuses are considered an important test for online voting, which seems poised to expand in future elections. Last month, Microsoft’s vote-counting technology was utilized in the Iowa Caucus. In January 2014, Obama’s 10-person Presidential Commission on Election Administration released its recommendations for reforming the U.S. election process, including transitioning to voting via tablet computers and other technologies, as Breitbart reported.